Mrs. 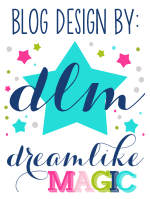 Miner's Monkey Business welcomes and thanks Brandi Jordan from Really Good Stuff's blog The Teacher's Lounge for this very informative and interesting article. With over 35 million people in the United States who speak Spanish, it is no wonder that ESL/ELL interventions are on the rise. For many kindergarten teachers, the students in their classrooms may be hearing English consistently for the first time in their lives. Not only is it important to make these students feel welcome, comfortable, and accepted, it is also important for the other students in the class to be able to communicate with them, even if it is with just a few key words. The ideas below are perfect for introducing Spanish words and phrases through daily lessons and interactions. In just a few minutes, you have greeted your students and they have greeted you and one another in English and Spanish. 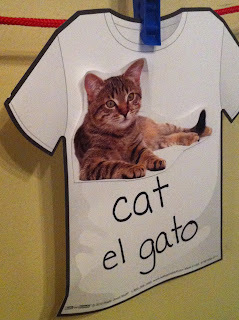 Imagine how validating that will be for your Spanish-speaking students and how much fun it will be for your English speakers to say they know how to speak a little bit of Spanish. There are some wonderful musicians who focus on Spanish language acquisition and aiding ESL/ELL students. Some sing their songs in both languages which makes it easy to integrate into the day. Play a song during transition/clean-up time and you will find that, before long, your students are singing the Spanish verses as easily as they do the English ones. It is difficult fitting in everything that needs to be taught during the kindergarten school day - especially if it is half-day kindergarten! 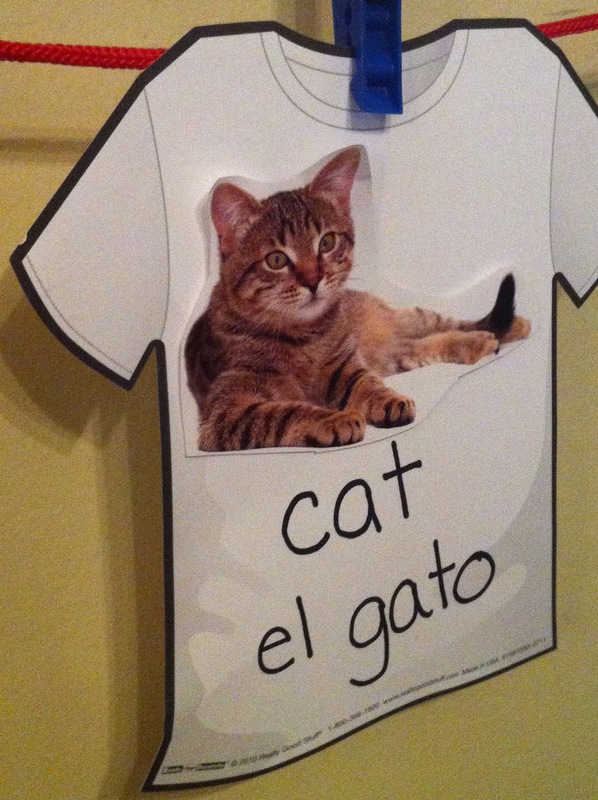 Thankfully, integrating a few key Spanish words is not difficult or time-consuming. 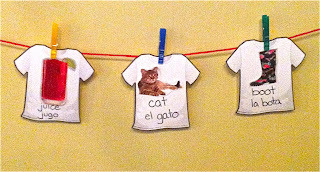 Get a clothes line and clothespins and hang cut-out t-shirts that have pictures of common vocabulary words on them. Label the objects with both the English and Spanish words and review them when you have a few moments during the day. Introduce a new word once a week to continue building students’ vocabulary. Not only will it help your English speakers learn the Spanish words, but it will also help your ESL/ELL students learn the English words. 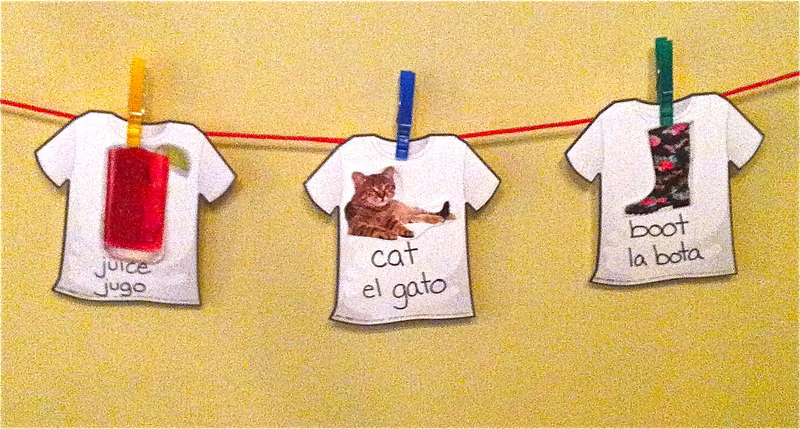 What are some of the ways that you integrate Spanish into your daily routine? Leave a comment and share below. 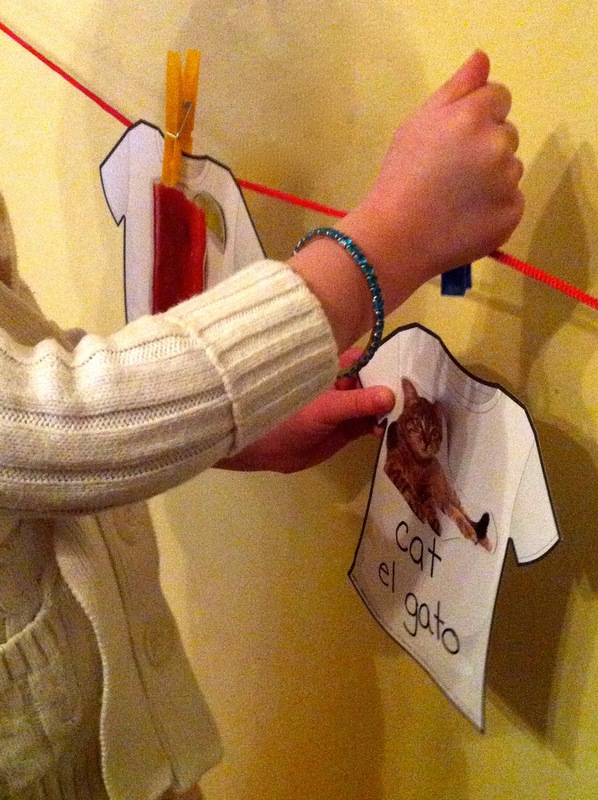 I’d love to know how you make language learning fun for your kindergarteners! 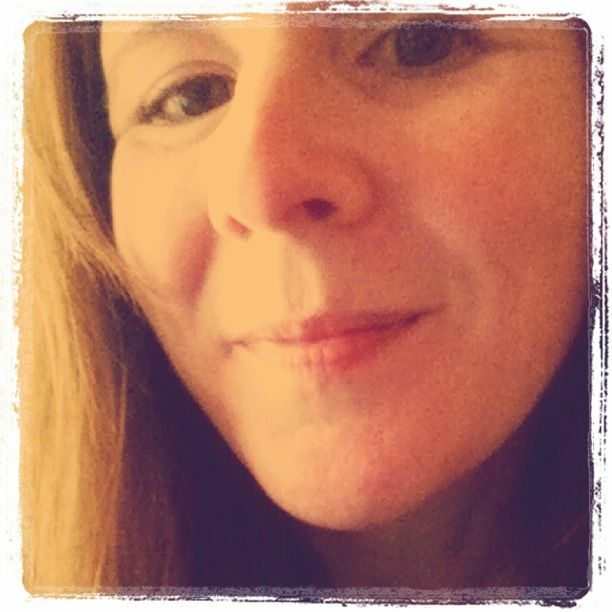 Brandi Jordan is the Managing Director of Really Good Stuff’s blog, The Teachers’ Lounge, and author of teaching resource e-books, including A Teacher’s Guide to Using Social Media in the Classroom. She is also a teacher, homeschooling mom, wife, and expert multi-tasker. Find her online on Pinterest or tweeting for Really Good Stuff.